1. What do Midea heat pump owners think of their product? 2. How can I be sure I’m getting a top quality product? You can rest easy! Our heat pumps have met the rigorous demands of all relevant Australian standards. And they’re backed up by a 5-year warranty on the tank, 3 years on the heat pump and 1 year on other components and installation. 3. How do heat pumps work? While electric hot water systems are basically an oversized electric kettle with a heating element at the base, heat pumps operate by harvesting the warmth from the surrounding air and using it to heat up the water. They are electricity-based renewable appliances, just like a reverse cycle air conditioner. Electricity is only used to run the components of the heat pump (like the fan and the compressor). The result is that one kWh of electricity can get you three or four kWh of hot water heating energy. 4. Do heat pumps work in cold climates like Canberra? The refrigerant used in our heat pumps, known as R134a, boils at – 26o C. That means that even on the coldest winter day in Canberra, the refrigerant can extract heat energy from the air to operate the heat pump. Also, quality heat pumps such as the Midea range have a range of features to deal with cold conditions, such as an automatic frost protection function. 5. 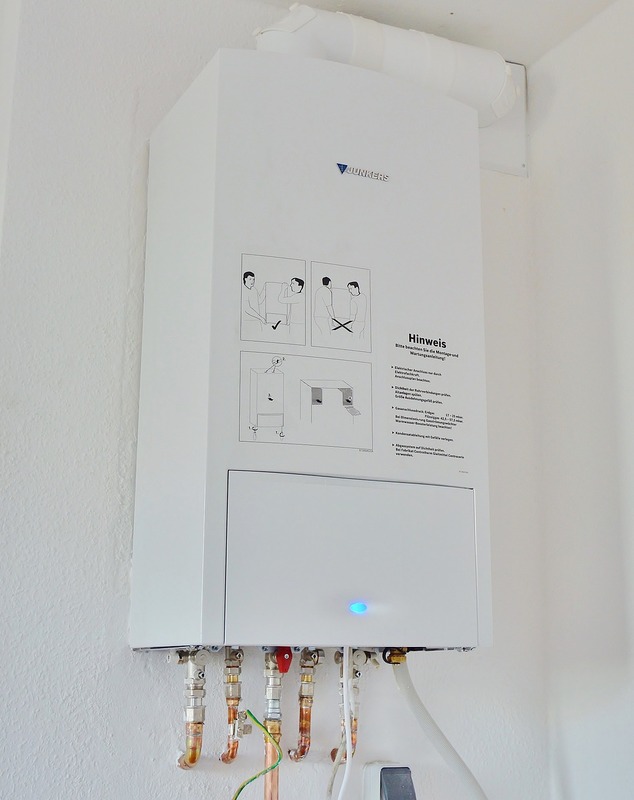 Is an instantaneous gas hot water system a better option? Gas used to be the way to go, about ten years ago when it cost around 1c per megajoule. But today gas is three times as expensive, at around 3c per megajoule in the ACT and NSW. Not only that, but supply charges have risen to $250 a year in the ACT and $220 in NSW. And with gas heaters, for every unit of gas that goes in, you can never get more than one unit of water heating coming out. With heat pumps, every kWh of electricity that goes in generates about three times as much water heating energy. In short, your hot water gas bill will be considerably higher that your heat pump energy bill. If that is your only gas appliance, you need to add the annual supply charges as well. 6. Can I power my heat pump through my rooftop solar system? Yes you can! In fact, that is the very best way to power your hot water system. The heat pump draws only a modest amount of electricity, running at around 400W. That is well within the capacity of even a small rooftop array to power up, even in winter. The way to do it is to set the timer so that the heat pump runs only when the rooftop solar is the most productive, say from 12 noon to 4 pm. At this time not only will your rooftop solar be at its most productive, but it is also the warmest part of the day, so the heat pump will operate at peak efficiency. If your hot water usage is typical of most households, you’ll only need to run the heat pump for a couple of hours a day. If you’re a heavy user (say 4 showers in the morning and more showers or perhaps a bath in the evening), you can have the timer set so that the heat pump can run from say 9 am to 5 pm.